Melbourne artist Yandell Walton’s work interacts with its environment in complex ways. So what effect will being in Berlin have on her practice? By Paul Dalgarno, originally published on Precinct. 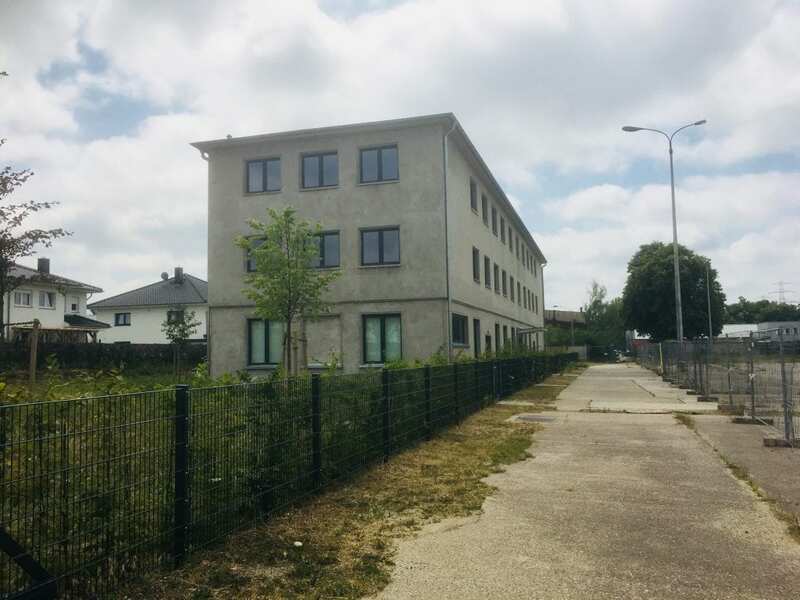 I skid my heavy rental bike through the gravel outside the PHASMID Studios, a many-windowed Lego brick on the Lichtenberg-Marzahn border in what was formerly East Berlin. The woman leaning out of the second-floor window – blue-green hair, a riotously-coloured top – sparks like flint against the cement surrounds. “You must be Paul,” she shouts. She disappears, reappears, leads me up the stairs. PHASMID Studios, Berlin. By Paul Dalgarno. The VCA Studio was established for alumni and staff in 2016 by Professors Jon Cattapan and Su Baker. It’s one of six studios in the complex, which was set up, and is run, by Australian gallerist Paul Greenaway and partners and is offered primarily for international residencies. It’s nice inside – a bed here, a sink there, crisp white walls, enough room in the main studio area to do five or six continuous cartwheels, enough natural light to illuminate … Wait, is that a stove-top espresso maker? Walton is a Melbourne-based artist whose work encompasses projection, installation, and interactive digital media – which, looking around, is obvious enough. 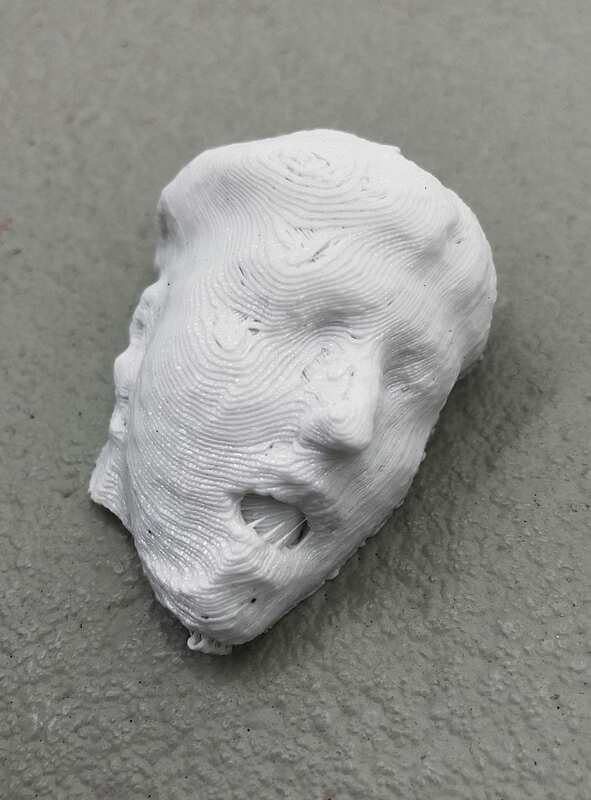 I sit, admire a spookily-rendered 3D-printed head on the table, look at the prints, photographs and sketches pinned to the wall. 3D test print. By Yandell Walton. Most are static. The only one that’s moving – a fly-through video projection – is rubbish. 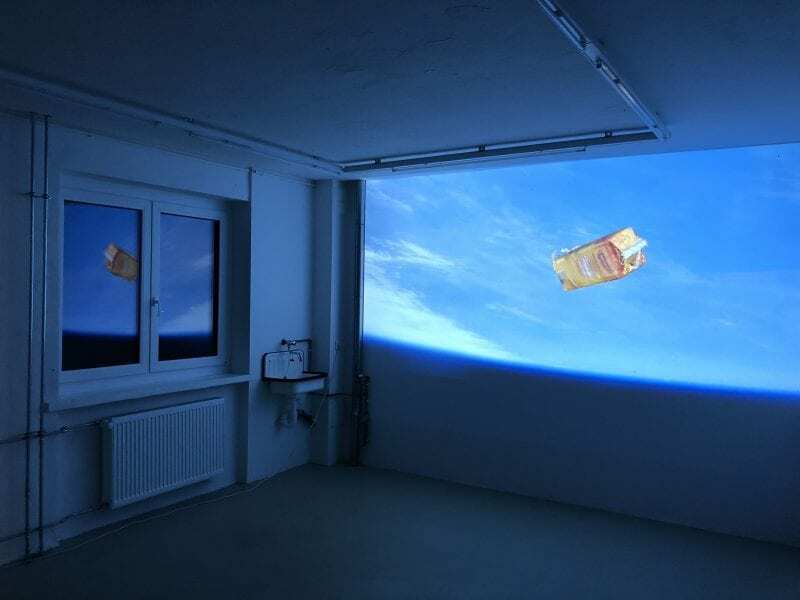 Foreign Objects test projection at PHASMID Studio residency. By Yandell Walton. Yandell Walton at the VCA PHASMID Studio, Berlin. By Paul Dalgarno. Site-responsiveness and sensitivity have become mainstays of Walton’s work. “My objective is to reveal another state, a space between what we perceive as real, and what we experience within,” she’s said in the past. In recent years, Walton’s public art commissions have included Departed in Wagga Wagga (2016), Absent Presence in Townsville (2014) and Transition in Melbourne (2014). Her projection work has shown at White Night in Melbourne, PUBLIC Festival Perth, Melbourne Festival, VIVID Festival Sydney, and Dark MOFO, among many others. 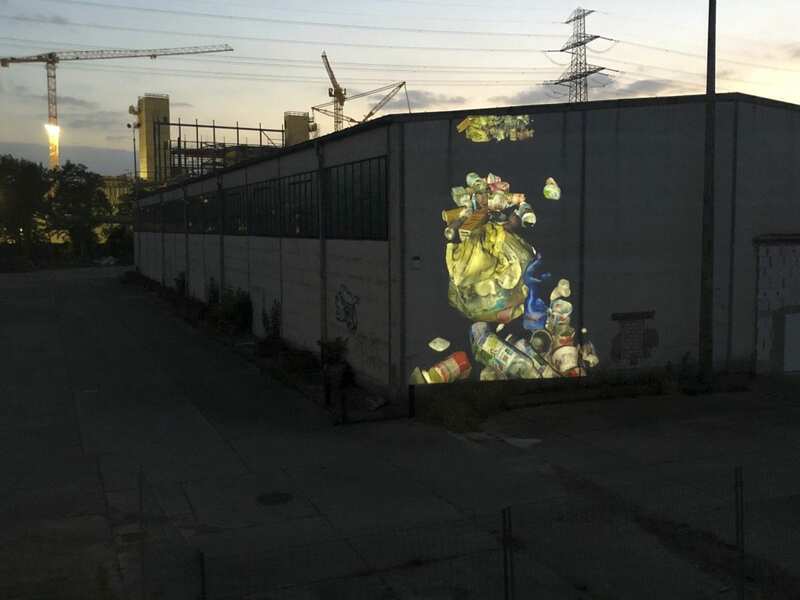 In 2015, her work Human Effect won the Best of Show Award at Digital Graffiti at Ayls Beach – kickstarting fruitful relationships with number of galleries and festivals in the US, and an invitation to undertake a residency to develop a new site-responsive work for Digital Graffiti. In that same year, she completed a Master of Fine Arts at the Victorian College of the Arts – during which she won the $10,000 Marvel Windsor Art Award for her work Presence. Given she’d already gained an MFA from RMIT in 2005, and has been showing internationally ever since, I wonder why she returned to study. “I’m very much a visual artist and not necessarily that in-depth theoretically,” she says. 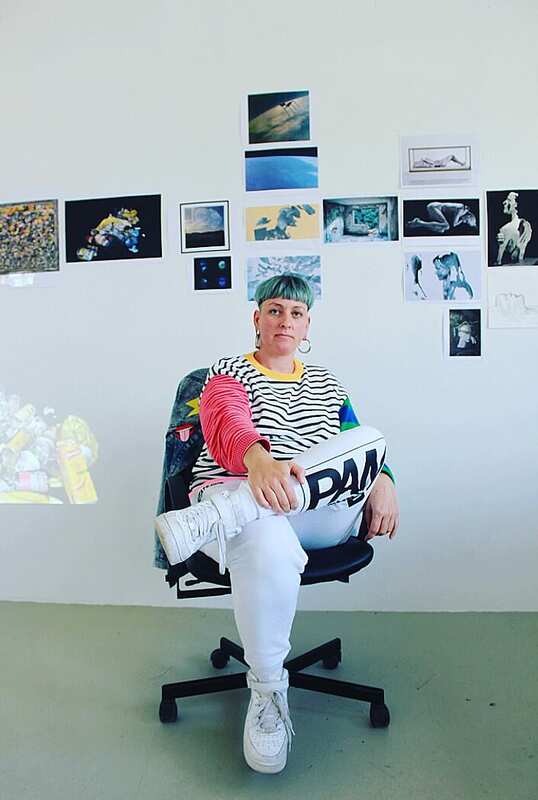 “Unlike the course-work degree at RMIT, the VCA’s was a masters by research, which allowed for a more in-depth research project and the opportunity to explore my practice in a different, more focussed way. “It gave me the opportunity to delve deep into underlying concepts – particularly mortality – in the context of projection. Presence, 2014. By Yandell Walton. Winner of the Windsor Hotel Art Prize Melbourne. She first worked and exhibited in Berlin on an Australia Council grant more than a decade ago and wanted to come back as it had been such an inspiring time. 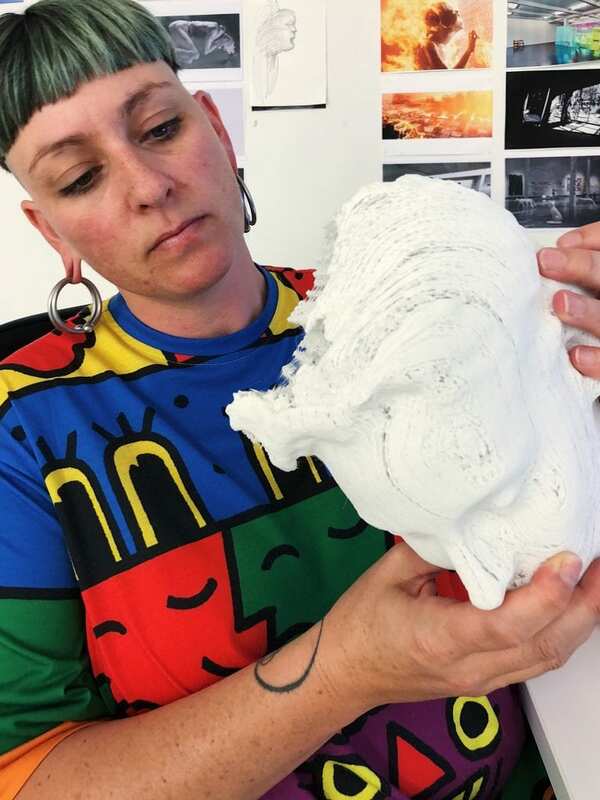 The three-month VCA PHASMID Studio residency has given her space to work on several concurrent projects and ideas, including the “degradation effects of mobile scanning technology”. 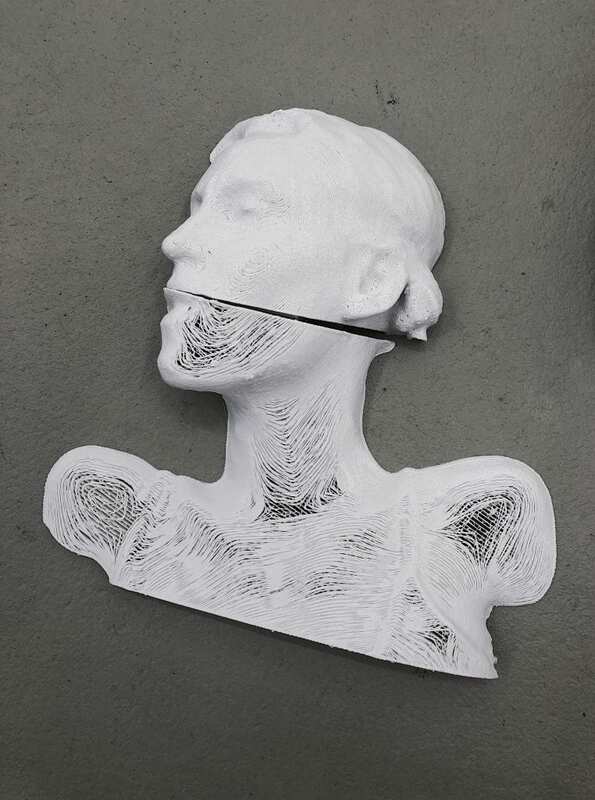 3D Printed Body Scan. By Yandell Walton. 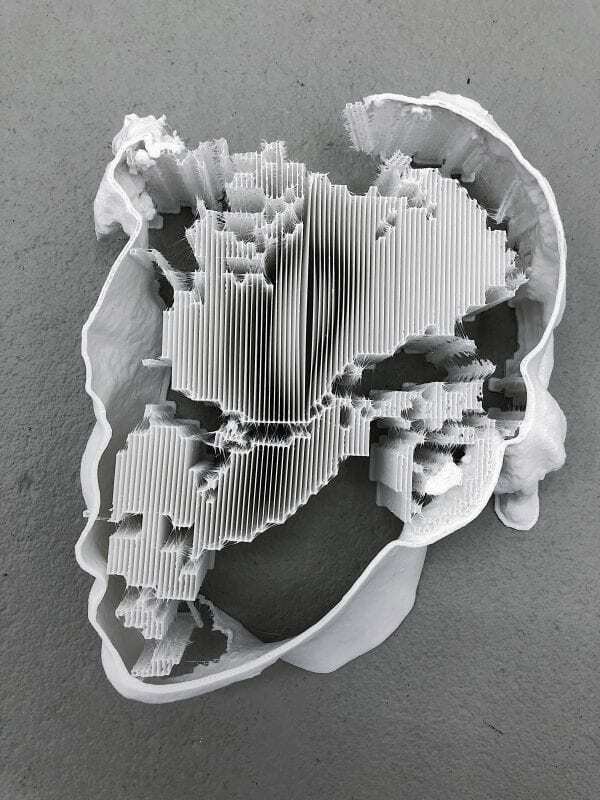 Failed 3D Print. By Yandell Walton. Work in development at the VCA PHASMID Studio, Berlin. By Yandell Walton. Her involvement with Melbourne’s annual Gertrude Street Projection Festival dates back to its earliest days. She was Feature Artist in 2009, the second year of the Festival, and has kept her hand in since – as a participating artist, mentor, co-curator and, more recently, board member. “We” crops up regularly in conversation with Walton. Her collaborative approach has seen her running masterclasses on behalf of the Gertrude Projection Festival, among others. In the past, she has created works with young people and community groups, and she continues to develop new skills for future projects. The themes most often cited in reviews of Walton’s work are impermanence, mortality and the otherworldly. For Departed, commissioned by the City of Wagga Wagga, members of the local community were invited to have a conversation about what they thought death “looked like”. She then 3D-scanned the participants and created her work around their descriptions of the afterlife. In Human Effect – which was two years in the making and has since been redeveloped for eight different sites in Australia and the US – the moving flora and fauna projected onto the laneway wall suggested fecundity but would shrivel and die when approached by anyone, only to regenerate when the “human effect” was removed. Were those themes there from the get-go in her work? Did they develop over time? And now? She downs her coffee – I finished mine ages ago. Yandell Walton at the VCA PHASMID Studio, Berlin. By artdocumentation.com.au. On returning to Melbourne, she’ll continue her development with 3D scanning, printing and animation, working towards a major solo exhibition at The Substation for the ART+CLIMATE=CHANGE festival in 2019, creating a series of site-specific immersive installations. Other projects include a major public art commission and community development project in Nillumbi titled Digital Agora. Funded by a Creative Suburbs grant through Creative Victoria, it will involve youth programs, masterclasses and the development of a new public artwork over the next 18 months. Banner image: Yandell Walton at the VCA PHASMID Studio, Berlin. By artdocumentation.com.au.